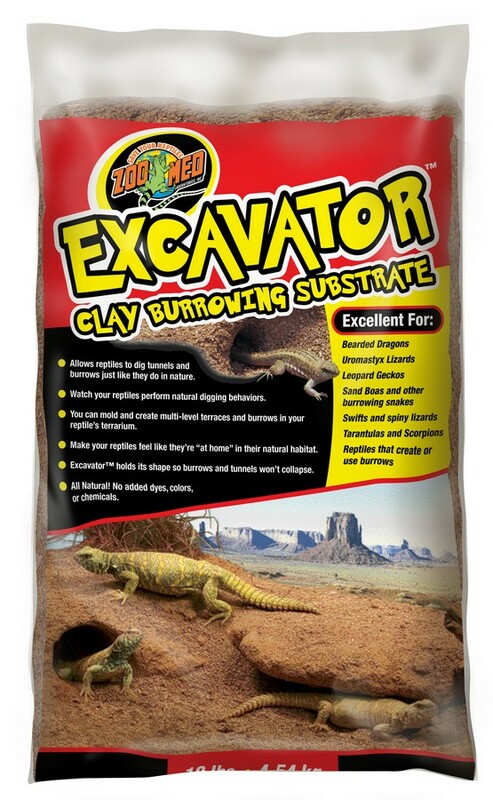 Excavator® Clay Burrowing Substrate | Zoo Med Laboratories, Inc. 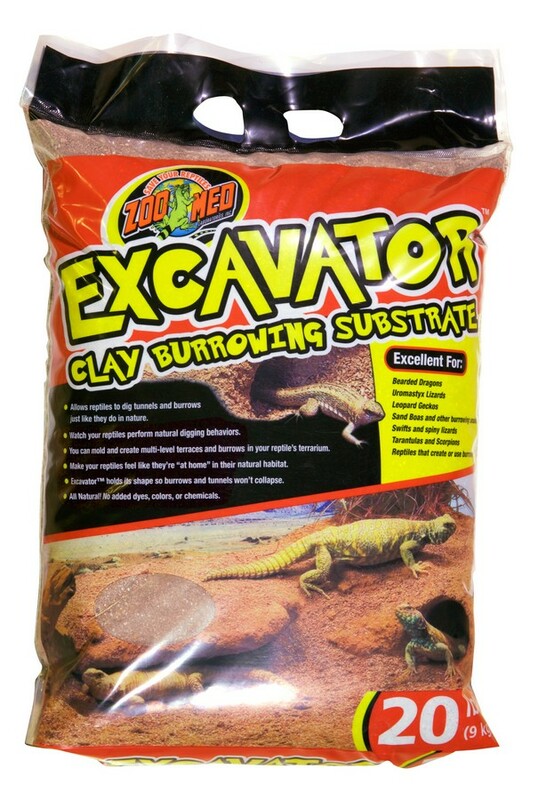 Check out Zoo Med’s Excavator® Clay Burrowing Substrate! A clay substrate that can be formed to your liking, while still allowing reptiles to dig tunnels and burrows just like they do in nature. Watch your reptiles perform natural digging behaviors; mold and create multi-level terraces and burrows in your reptile’s terrarium. 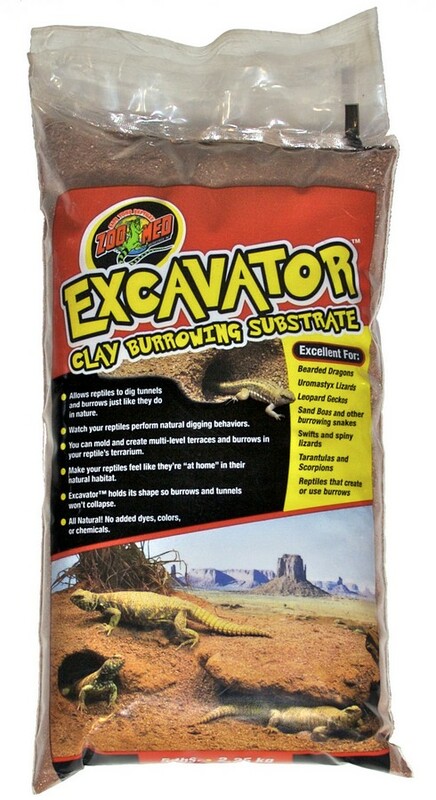 Excavator® holds its shape so burrows and tunnels won’t collapse. All Natural! 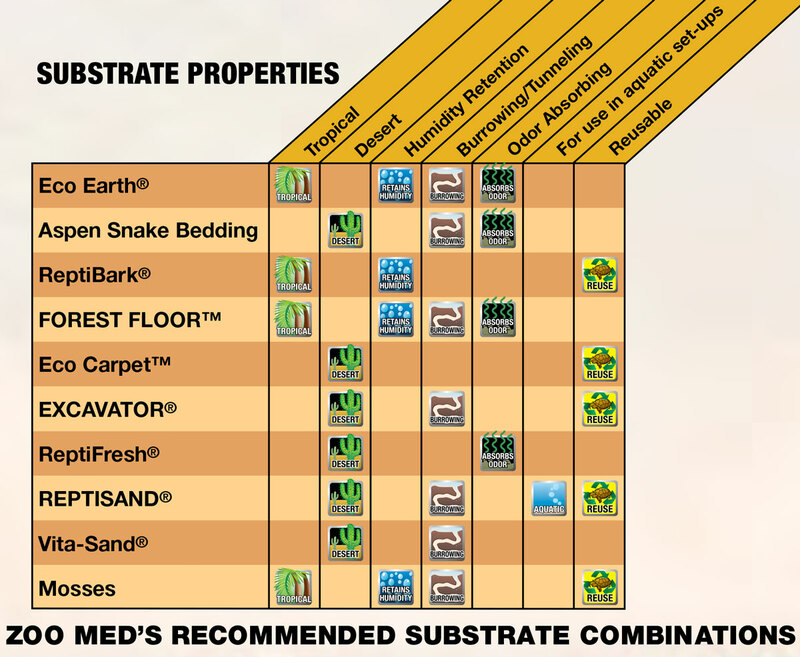 No added dyes, colors, or chemicals.